Airbnb is ploughing $5million into its experiential travel program, Airbnb Experiences, it was announced recently. And British Vogue has said that transformational travel will be the next evolution in travel. According to a statement, global weekly Airbnb guest bookings are up over 2,000% since the same time last year, and active experience numbers grew by 500%. Transformational travel takes experiential travel a step further. It’s a bit more serious-minded – defined by personal development, and a deeper communion with nature and culture. But the trend for doing something meaningful on holiday is set to stay. Anyone involved in the travel industry needs to take note. Back at the end of 2016, when Airbnb bought Barcelona-based start-up Trip4Real, the experiential travel trend really took off. Trip4Real was one of the first to hook up visitors with informal local guides who could show them the real Barcelona, rather than simply ticking off the Sagrada Família and Las Ramblas. For example, visitors could book a tapas tours with a food-loving local, or a paella-making class in someone’s home. Viator (bought by TripAdvisor for $200million in 2014) continues to grow, and is still the gateway to experiences like a local’s foodie guide to Brooklyn, or a self-guided Scavenger Hunt through Santa Monica. It’s also full of more mainstream tours – but there’s room for both in the market. Berlin-based GetYourGuide (which swallowed up rival Gidsy) offers a similar booking system for worldwide tours and trips. And there are many more – small and large. If you’re involved in booking holidays or running hotels, matching visitors with locals-led experiences is becoming an essential part of the job. Don’t get left behind – find the new, exciting ones in your area. I spoke to a local Scottish guide recently, who drives the Hairy Coo bus taking Edinburgh tourists into the Scottish countryside. I suggested that he use knowledgeable locals to put an in-depth spin on his trips. It would only cost the customer a little extra (although, interestingly, he operates his 1-day tour for free, asking only for tips), and would give the experience extra authenticity. He loved the idea. I also think tourist boards could step into this arena. It’s a shame that they are often behind the curve on such travel trends. Concierges, too, should be as knowledgeable on the nearest supper club, or locals-led tour as they are on where to get the best value theatre and museum tickets. As Airbnb continues to expand, with over 150 million users, and active in over 190 countries, they can’t be ignored. 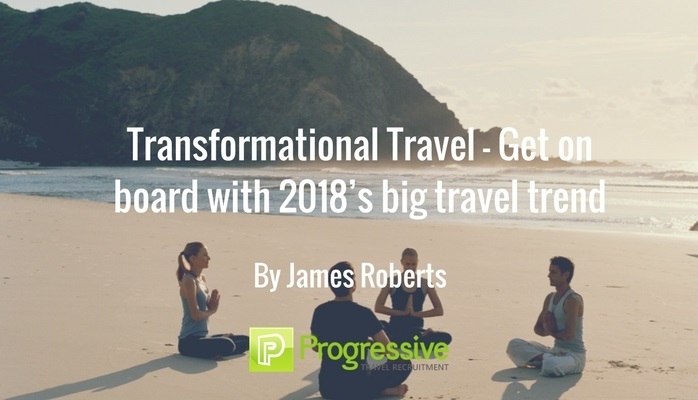 American author James Michener once said about travelling, ‘If you reject the food, ignore the customs, fear the religion and avoid the people, you might better stay at home.’ He’s right – but achieving those real-travel objectives is now so much easier with the evolution of experiential travel booking agents. Why use Travel Recruitment Agencies?